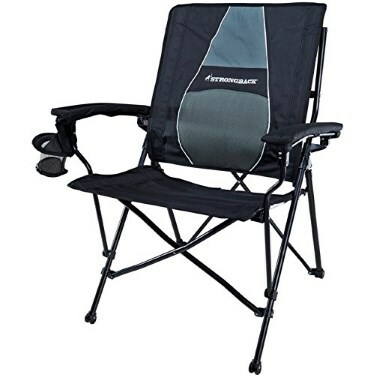 Turn a great camping trip into a fantastic one with the right camping chair. If you are like me, part of the fun of a camping trip is relaxing at your campsite. Whether you are enjoying some peace and quiet or hanging out with your friends, it is time to chill. A comfortable chair is important so that you can really enjoy that down time. Keep reading to learn about the best folding camping chairs available for your adventures. 2.1 What Types of Chairs are Available? 2.2 What Should It Weigh? 2.3 What Materials Is It Made Of? 2.4 How Portable Is It? You are relaxing at your campsite after a long, challenging hike, enjoying the cool breeze and the sound of the creek not far from your site. Instead of sitting on the ground with your back against a tree, why not be comfortable while you are away from home? 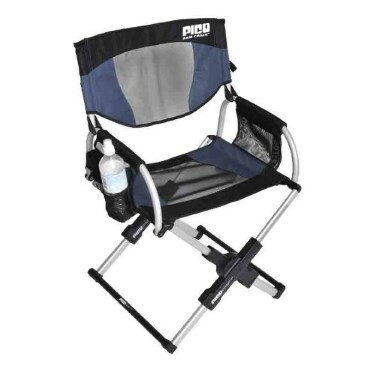 In addition to providing comfort, a camping chair is useful; depending on weather conditions, the ground may be cold and/or wet and a folding camping chair will provide you a dry place to sit. Some have cup holders which give you a place to put your drink as well as storage pockets in order to keep necessities easy to access. Some key things to consider when purchasing a foldable camping chair include: the type of chair, its weight, the material it is made of, how portable it is and what features it offers. What Types of Chairs are Available? There are minimal camp chairs that are seen in two different styles; folding seats and stools. These are your lightest weight options and can be taken on a backpacking trip or used for car camping. Your regular or standard option is a folding chair, usually with aluminum legs and including arm rests and seat backs. 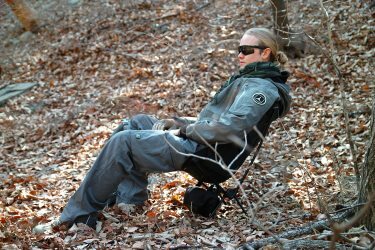 These chairs are heavier than the minimal camp chairs and usually include a bag with a strap to carry them in. These are great for car camping or tailgating, however are too heavy to take backpacking. More luxurious options will provide the most stability, comfort and features, however will weigh the most of the three types of chairs. The chair’s weight will probably only be a concern when you are looking at a minimal style chair to take into the backcountry. To be able to realistically pack the chair or stool in with all of your other gear, you will want to find one that is under two pounds. More luxurious options will weigh at least five pounds, and aren't suitable for backpacking. 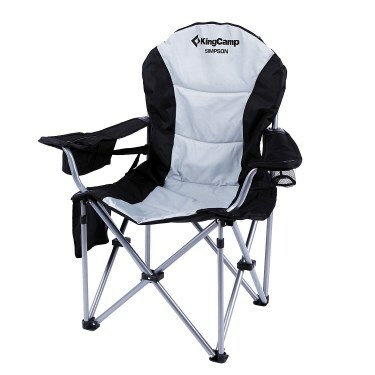 Good chairs for camping will be made of aluminum, which offers an excellent strength to weight ratio. Chair fabric will typically be nylon or polyester, both of which are durable. If you spend time outdoors where you encounter a lot of moisture, you may want to choose a chair made of nylon, as the fabric will dry more quickly than one made of polyester fabric. Chairs that will be used for outdoor activities will come not just in a variety of weights, but will be able to be packed down and carried in different ways. 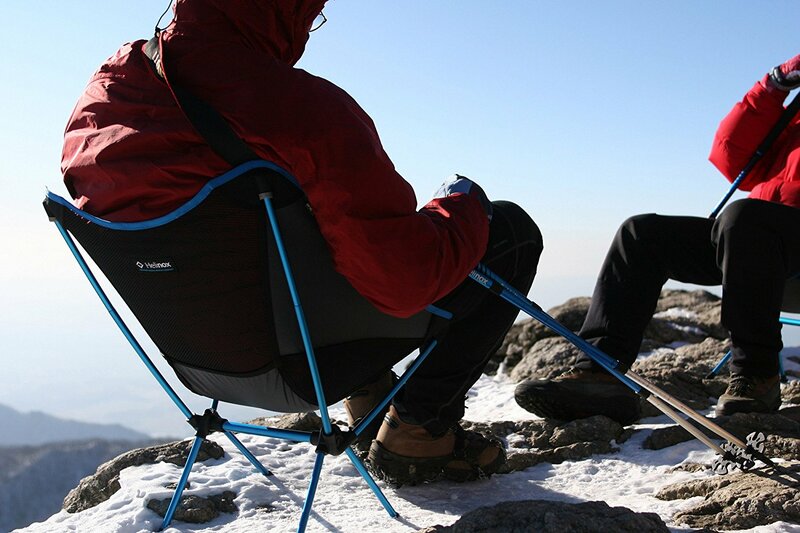 Minimal camping chairs can break down to a small size and be included in or strapped to your backpack. Regular and more luxurious chairs will usually include a carrying case with a strap so that it can easily be carried. Minimal camping chairs will usually not offer many features; the idea is that they are light and able to be taken anywhere. Many different features can be seen in regular and more luxurious seating options to include lumbar support, arm rests, foot rests, cup holders, storage pockets and shade. Lumbar support is available in some camping chairs and will offer support of the vertebrae of your lower back. This will enhance the comfort of the chair while you are using it, as well as ensure that you are not aching after sitting in it for awhile. Arm rests will offer additional comfort but will add additional weight to the chair. Some chairs offer arm rests that are adjustable so you can make the chair meet your particular needs. Foot rests (some of which are detachable) add to your ability to relax. Cup holders may be made of mesh or the same fabric as the rest of the chair. Heavier camping chairs may include cup holders that insulate the drink that is placed in. A cup holder will help you know the location of your drink and avoid spilling it (which could happen if your drink is placed at your feet). Storage pockets can be basic, offering a place to keep your phone or your sunscreen so you know where they are. Or they can be insulated, allowing things to be kept cool while being stored in a part of your chair. 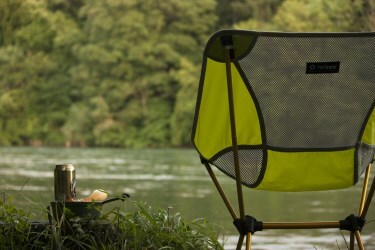 Some camping chairs even include coolers for your drinks and other perishables. Storage pockets can be helpful as you can keep what you will need or want in one place and avoid having to look for it. Some chairs come with a canopy to provide you with shade from the sun; others will offer an attached loop so that you can easily attach an umbrella to your chair to keep the sun out our your eyes. Let’s take a look at six top-rated options, along with our choice for the best folding camping chair. 23.6 x 23.6 x 41.3"
36 x 28 x 26"
18.5 x 24 x 34"
20 x 20 x 25"
34 x 22 x 17"
23.6 x 21.5 x 26"
The KingCamp Lumbar Support Chair offers a large seat made of polyester oxford fabric along with a lumbar support system for comfort after a long day of activity. This portable chair by KingCamp is designed for the adjustable arm rests to be able to be placed at the perfect height; offering the ability to achieve complete relaxation. A mesh cup holder is included so that your drink won’t have to be far from your hand. Easy to set up, this folding camping chair is made with strong steel tubes. Weighing 11.3 pounds, it can hold up to 300 pounds and comes with its own carry bag for easy transport. 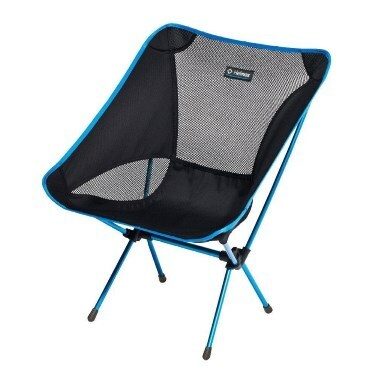 The chair includes a good sized mesh pocket that you can use as storage for items that you want easy access to. The Strongback Elite Heavy offers durable construction, weighing 12 pounds and with a capacity of 300 pounds. This portable chair includes a spacious seat and a patented lumbar supportive design that is meant to align your body posture, ease tension in your neck, and support your back to bring relief to your spine and relax your muscles. This portable seating option does not take long to set up and it includes a carrying case like a backpack, making it easy to take with you where you want to go. A powder coated steel frame provides support and heavy duty 600D tear resistant polyester fabric enhances its durability. A beverage holder is included so that you can keep your drink handy while relaxing. The Picnic Time Fusion Original Design Outdoor Chair weighs 12 pounds and is able to support up to 350 pounds. This folding outdoor chair offers a ribbed padded seat (19 and a half inches wide) and backrest for additional comfort. Its frame is made of sturdy aluminum and the fabric is polyester canvas. This chair is actually more than a chair; it includes a fold-out side table (14.5 inches by 11 inches) with shelves that can expand to hold books, drinks, maps, etc. It also comes with an insulated cooler that can be attached to the chair as well as armrests that can be connected for additional comfort. 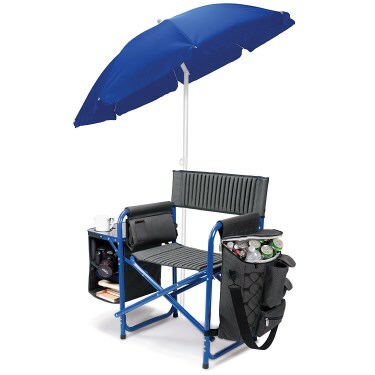 Fabric loops on the back make it simple to add an umbrella to create a portable chair with shade and the folding backpack strap system makes it easy to carry. Weighing 1.9 pounds, the Big Agnes Helinox is an option for backpacking or car camping. Including DAC aluminum poles and 600D polyester, this lightweight chair is strong, and able to hold up to 320 pounds of weight. This chair packs down to the size of a Sunday newspaper (14”x 4” x 5”) and includes a carrying case, making it easy to take with you on your outdoor adventures. This seat has self-locating shock cord technology that allows for the chair to be easily set up. This Big Agnes chair will seat you low to the ground, allowing for reclining back and making it easy to stretch your legs and relax at your campsite. The GCI Outdoor PICO Arm Chair folds down to 1/16 of its size (about the size of a laptop case), making it easy to pack for your next camping trip. Between its small packed size and weight of 10 pounds, this portable seating option is not hard to bring with you anywhere. The chair includes a bag to carry it in; the bag can then become a storage caddy once the chair is set up. Speaking of set up, getting this camping chair together won’t take much time. Made with a lightweight powder coated aluminum steel supports and 600D polyester and breathable mesh nylon seat and seat back, it will support up to 250 pounds. A mesh beverage holder and media pocket are also included, so that you can keep track of your drinks and your electronics. The Travel Lite Camp Chair 2.0 includes an aircraft-grade 7075 aluminum frame and 600D Oxford cloth mesh that can support up to 320 pounds. With the ability to fold up to about a quarter of the size of your average folding chair at 14 inches x 5 inches by 4 inches, this one is easy to pack into your car. Weighing only two pounds it can easily be carried during backpacking trips so that you can sit comfortably in the backcountry. 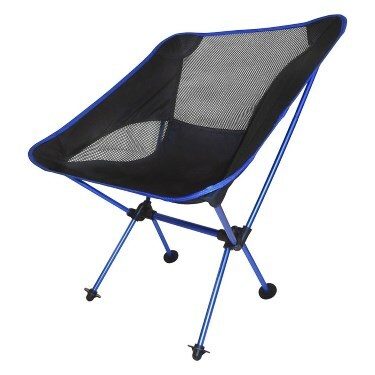 The feet of this portable camping chair are wide and wont sink into mud or sand. The chair sits low to the ground, making it easy to set your drink down next to you. We love that this chair is so portable; at a weight of 1.9 pounds and folding to the size of your newspaper, it is possible to take this chair anywhere. While the chair is lightweight, it is also strong, featuring DAC aluminum poles and able to hold up to 320 pounds. Set low to the ground, you can stretch your legs and relax after a long day of activity. Able to be set up easily with self-locating shock cord technology, the Helinox is a great choice for any activity, from a week in the backcountry to a picnic at the local park. All of this and more make this our choice for the best foldable camping chair.